As getting healthier (diet, exercise and more) seems to be a permanent item on my to-do list, I'm always on the lookout for ways to add more healthy snacks to my kitchen. After all, if I can find items that not only taste good but also add all-natural ingredients and whole grains to our lives, it's a win-win situation! 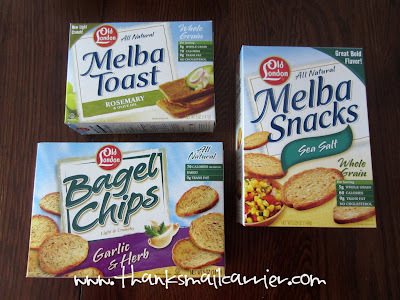 That's why when I was introduced to Old London and their tasty Melba Toast, Bagel Chips, and Melba Snacks, I knew that we had found a snack that would work for the whole family! 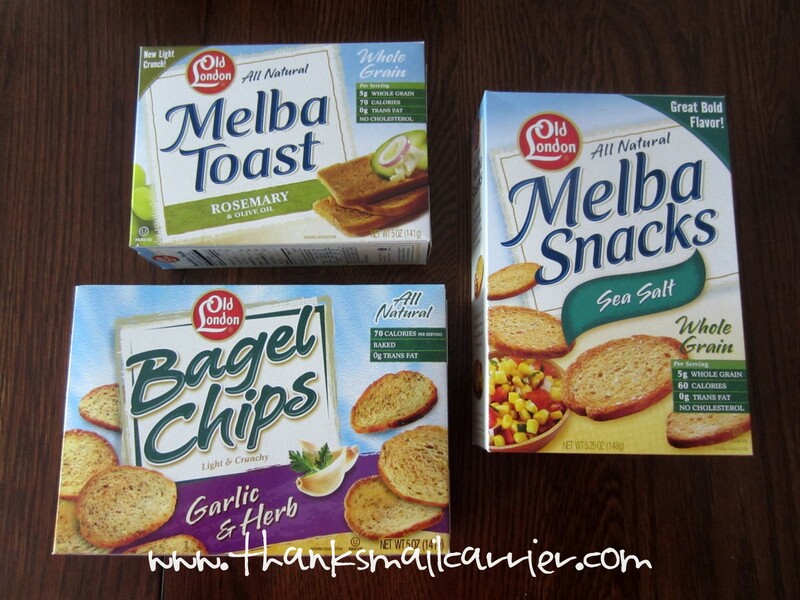 Right away I appreciated that Old London products add crunch and flavor to meals and snacks, without the unnecessary calories. These healthier options can help keep your diet on track, whether you're planning your next trip to the Greek Isles or gearing up for a neighborhood pool party. In fact, Greek culture adheres to the Mediterranean way of life, where active lifestyles and healthy, balanced diets stand as a natural component of everything from daily get-togethers to large family celebrations. Often heard at these events, the Greek exclamation "OPA!" signifies excitement and cheer, a contagious feeling that thrives throughout the Greek Islands. Take your workouts outside. While a walk around your neighborhood might seem less exciting than a hike around Greek ruins, try to find something in your local outdoors that motivates and excites you. Explore a local park or a new neighborhood route to change up your fitness routine. Give yourself a break. We all need to recharge our batteries every once in a while. If you can’t take a vacation, plan a day or a weekend at home when you can have a little "me time" to just relax and do whatever makes you happy. Reach for healthy snacks. I keep smart snack options on hand to keep my energy up between meals like a handful of almonds, some Greek yogurt and honey or a few Old London Melba Snacks with hummus. Healthy Living = Happiness. You don’t have to wait for a special occasion to plan a get-together. Invite friends and family over just because! Ask guests to bring a dish, or set out appetizers like olives, cheese and Old London Melba Toast for everyone to enjoy. I’ve found being happy is a big step to staying healthy. Love yourself. People come in all shapes and sizes, and what works on others won’t necessary work for you. Being healthy is about how you feel. Stop comparing yourself to others and begin loving the person you are from head to toe. But let's hear about the sweepstakes, right? The "OPA! To A Better You" Facebook Sweepstakes couldn't be easier - you enter by simply clicking 'Like' on the Old London Facebook page. One lucky winner and a guest will win an eight-day, seven-night trip to the Greek Islands! 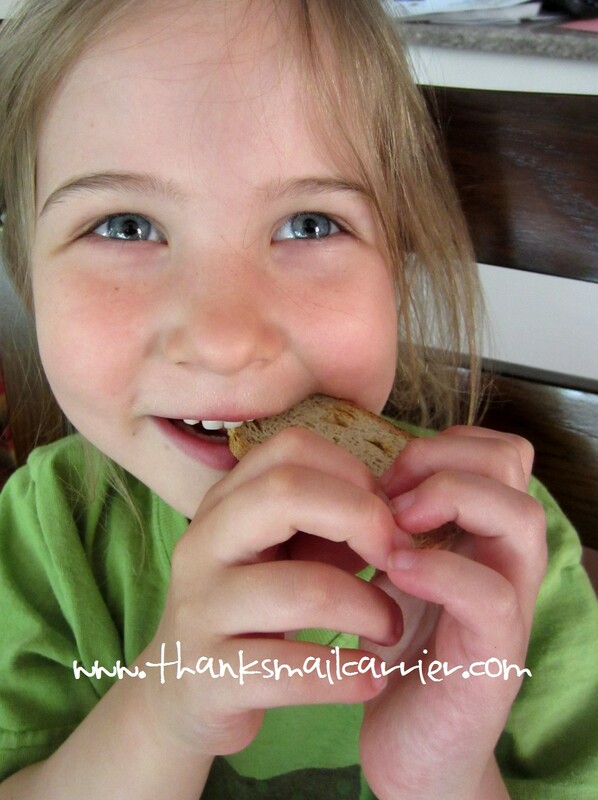 After hearing these great tips and entering to win a trip to Greece (fingers crossed! 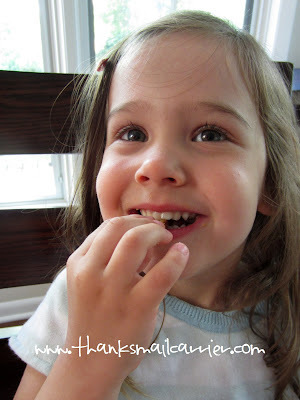 ), we were eager to try out our Old London snacks. 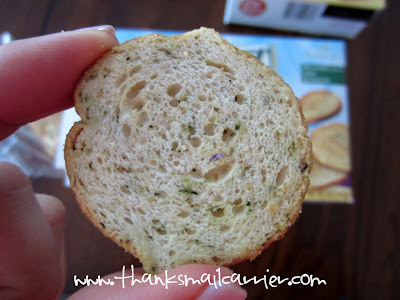 After the kids and I checked out the colorful images on the boxes, we broke into our Bagel Chips: Garlic & Herb, Melba Toast: Rosemary and Olive Oil and Melba Snacks: Sea Salt to enjoy their flavor. Yum! We weren't quite sure what to expect, but the flavorful crunch of these snacks was a great surprise! I love knowing that they are quite healthy and therefore don't feel bad about pulling them out for myself or for my kids. ...and the crisp, toasty taste ended up being Big Sister E's favorite. On the other hand, Little Sister B and I found that we preferred the salty, tangy taste of the Bagel Chips: Garlic & Herb. 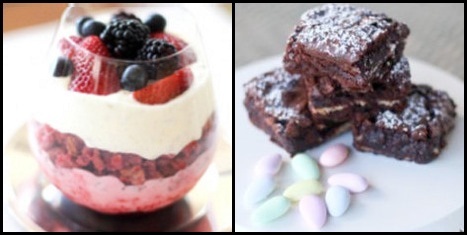 They were perfect on their own or with toppings! In fact, we found that all three of the varieties lent themselves very well to pairings with cheese, vegetables, salsa, dip and more. You just can't go wrong! 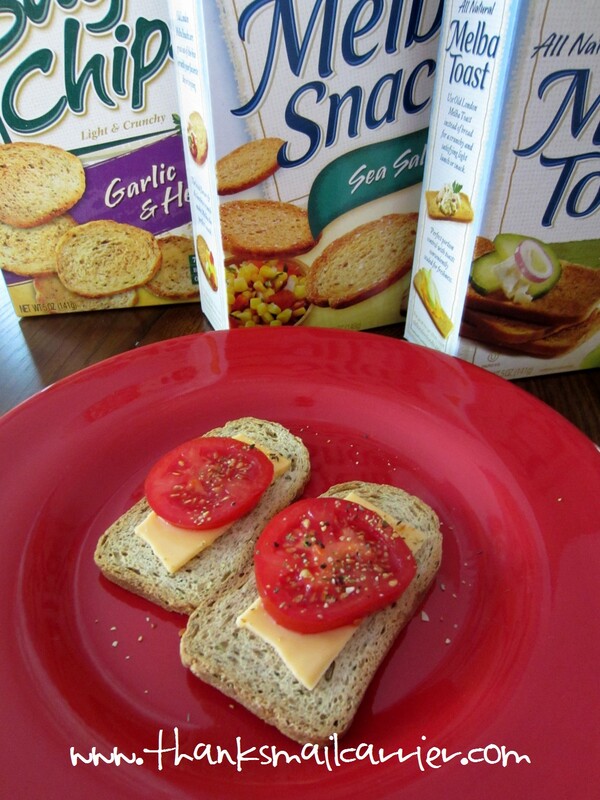 While we have stayed with pretty easy combinations thus far, I love that Old London features great recipes on their website or Facebook page for much more creative and delicious ways to incorporate these snacks into just about any meal of the day. I would never have thought of incorporating Old London into Melba Mixed Berry-Lime Trifle or Mediterranean Café Mocha Bars, but now I just might have to try them out! When it comes to getting into shape and improving your overall health, it's very easy to get sidetracked and see your best-laid plans fall by the wayside. 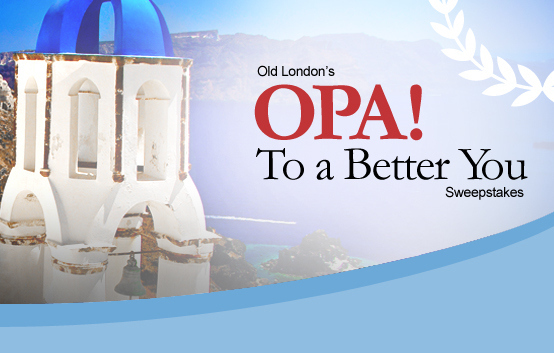 Old London wants you to toast to your health every day and say "OPA" to a better you! 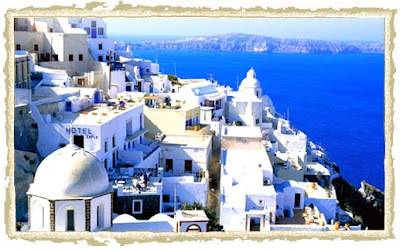 Check out their delicious snack products today and be sure to enter to win a trip to the Greek Islands in their "OPA! To A Better You" Facebook Sweepstakes! I wrote this review while participating in a blog tour by Mom Central Consulting on behalf of Old London. I received product samples to facilitate my review and a promotional item to thank me for taking the time to participate. 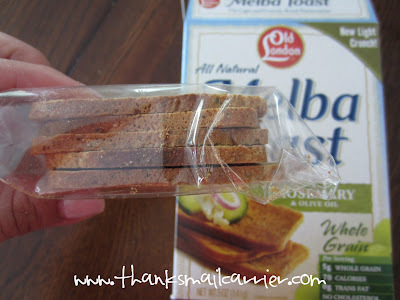 I love melba toast! I can remember growing up and having it for a snack with cheese spread or just butter.